Enjoy your home and the beautiful surroundings it offers. StayGreen Lawn and Pest Service can help protect your home and landscape from invasive pest including; Mosquito, Ticks, Spiders, Ants, Earwigs, Silverfish, Boxelder bugs, Sowbugs and many more. Do you love spending time in your yard? Are you constantly kept inside during beautiful warm nights because of mosquitoes? Have you ever worried about letting your children or pets play in the yard for fear of ticks? If you answered yes to any of the above, help is on the way! It’s time to take back your yard and enjoy it without the worry of mosquitos, ticks and other creepy crawlies. StayGreen offers an All-Natural Mosquito and Tick Control program to provide a protective barrier around your home and landscape for season-long control. Click the tab to the left to learn more about our All-Natural Mosquito and Tick Control program as well as our special offer OR call 1-413-998-STAY today for your FREE quote. Homeowners like yourself, seek to maintain a clean and safe living environment. Therefore, when pests find their way into the home, they become irritating, unsafe and downright annoying! They can bite, sting and create additional problems. 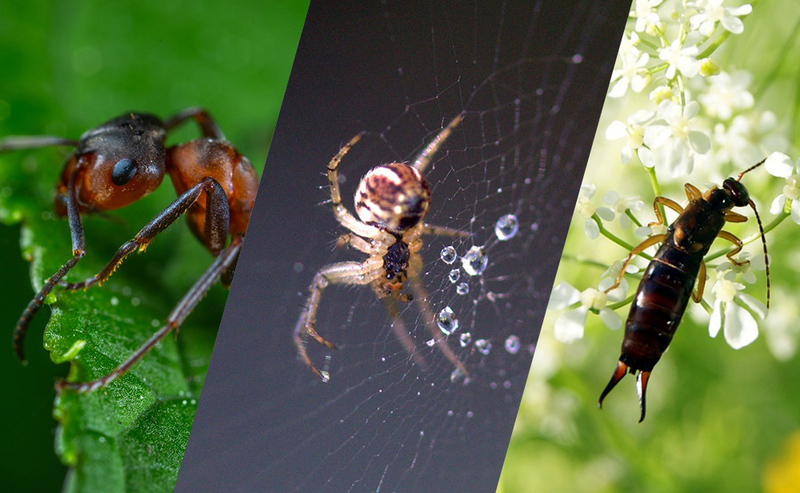 Pests, such as ants and spiders, are meant to stay outside and can be nearly impossible to control on your own. Our Perimeter Pest Control program will provide a barrier around your home and help reduce or eliminate pests from entering. Click the tab to the left to learn more about our Perimeter Pest Control program and our special pricing OR call 1-413-998-STAY today for your FREE quote. Protect your family and pets from disease carrying mosquitoes & ticks with our all-natural program. Mosquitoes aren’t just annoying, they can carry Malaria, Yellow Fever, Dengue Fever, Chikungunya Virus, Zika Virus (Now found in our area) West Nile Virus, and Eastern Equine Encephalitis. As the climate warms, these deadly diseases will become even more common. Ticks and Lyme Disease are growing problems right now. And the impact can be devastating on your family. In addition to Lyme Disease, ticks carry Human Anaplasmosis (Formerly known as HGE), Babesiosis, and Powassan Encephalitis. Warmer weather means tick populations don’t always die down in winter, so regular treatment is needed for protection. Mosquitoes and ticks are also just plain annoying. They can ruin your leisure time at home or outdoor fun in your yard. So play it safe , treat your property regularly with the StayGreen All-Natural Mosquito and Tick Control program. Mosquito and Tick Control Work? Our All-Natural Mosquito and Tick Control program consists of monthly applications starting as early as April, and going through November (depending on the weather). Based on a combination of earth friendly, plant-based essential oils, each application controls and repels these pest, preventing insect activity in your yard. This program is safe for children and pets, and will not harm your trees, shrubs or plants. Because it is all natural, you can enjoy your lawn and landscape immediately after each application. This program gives you the peace of mind knowing that all your loved ones are safe. So relax and enjoy outdoor time with your family and your friends. The StayGreen All-Natural Mosquito and Tick control program makes it easy to do. ● Safe for children and pets. ● Monthly applications keep mosquitoes and ticks under control. ● Natural oils repel mosquitoes and ticks for maximum stopping power. ● Protect your home and landscape from disease carrying pests. ● Professional inspection and recommendations with each application. ● Free resprays if heavy rain occurs within 2 hours of the treatment. Get 1 FREE application with the purchase of a full program. 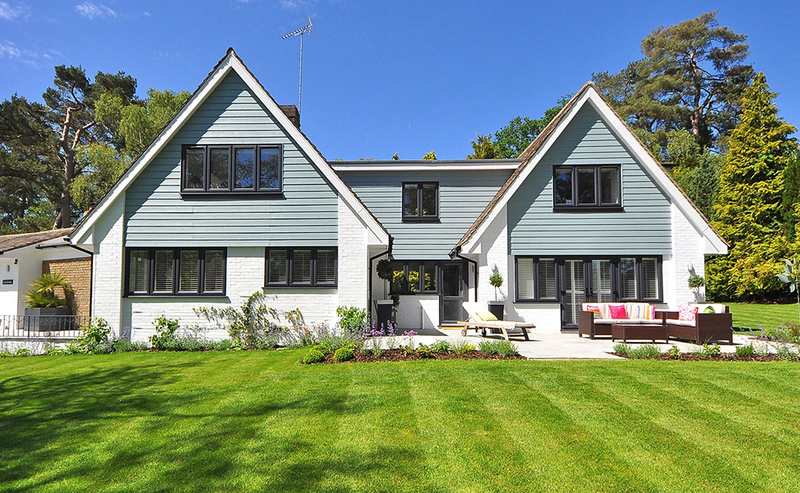 As a homeowner, you are very familiar with your landscape and surrounding property. However, you are not the only ones who know the lay of the land! You are also aware keenly aware of the numerous populations of insects, all shapes and sizes, of course, living right outside your home. While some insects are beneficial and aid in fertilization and pollination, others are simply invasive and destructive. The worst part of all, these pests often look for all means of entry into your home. The StayGreen Perimeter Pest Control Program is designed to keep these unwanted insects out of your home where they are unwelcome! At each visit, we will spray the foundation of your home to target these invasive pests. In addition, we will be sure to sweep cobwebs in the area, call attention to any areas of concern, and provide any recommendations for you to help maintain the results. Ants, silverfish, earwigs, spiders, and many others. ● 4 visits for season-long control. ● Don’t need to be home for applications. ● No stranger entering your home! ● Reduces the risk of diseases associated with insect bites. Only $49.95 per treatment with the purchase of our full program. Only $49.95 per treatment with purchase of our full program.